The announcement seemed to come from nowhere, although without doubt, advisers, company boards and corporate strategists had mulled this over for a long time. In early May, Verizon reported it planned to acquire AOL, the embattled Internet company, for $4.4 billion. Many wondered what that was all about. Why would Verizon bother? What is it acquiring? What does it hope to gain from the merger? And was it a bargain? Who gained more from the sale--Verizon or AOL shareholders? In its public announcements, Verizon said this was an opportunity to expand into AOL's domain of display and mobile advertising. Underneath the headlines, some said Verizon gains access to millions of AOL consumers (viewers, clicks, and eyeballs), those who continue to pay monthly fees for membership and other services. (This includes the tiny fraction that still dials up to reach the Internet.) Others have suggested Verizon also wanted to bring into its management fold AOL's aggressive, take-no-prisoners CEO Tim Armstrong. What do the numbers suggest? Was the stand-alone AOL still capable of double-digit growth and strong enough to face off against competitors, who've gotten bigger and better while AOL since its peak days with TimeWarner has stumbled and stalled? First, AOL shareholders have gained considerable value since the announcement. Its $40-ish stock price has now topped $50/share, mostly because of the "good news" from the merger announcement. AOL no longer wallows in uncertainty about whom it must pair with, as it has been for the past few years. Until the Verizon announcement, there was faint talk about a merger between Yahoo and AOL, one that would permit two sluggishly performing companies desperate for a new vision to combine remnant strengths to create a more viable company. Second, despite what many suggest, AOL is not an unprofitable, money-losing company, although earnings have nose-dived the past two years because of unusual expenses. The company still shows revenue growth. Sales (now above $2.5 billion/year) have grown three straight years--9% last year. Gross operating profits even eclipsed $1 billion last year. Shareholders were rewarded with unspectacular 5% returns last year (ROE) and may have whined about the company's inability to keep up with the Googles and Facebooks. When the company's cards are in order (when it doesn't have unusual expense issues and strategic botches), it appears capable of cranking out $300-500 million in profits annually. If all goes right. Perhaps that's what Verizon might have seen when it surveyed AOL's performance. Get unexpected costs and strategy in line, and Verizon will step in to boost earnings above $300 million and secure handsome returns for Verizon shareholders. 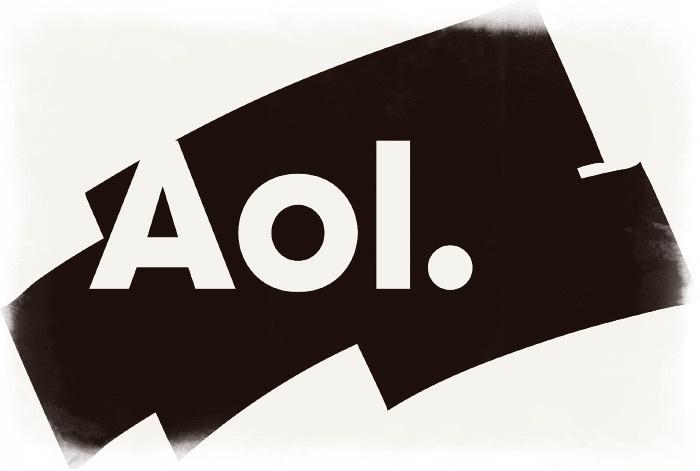 AOL's balance sheet is in tact. There are sufficient levels of cash resources and liquidity (enough to keep the company healthy). There is a manageable, almost insignificant amount of debt. The balance sheet is stable and appropriate for its business. Not much appears out of line. Cash flow from operating activities (above $350 million) is also stable. The company has reinvested much of that cash into new activities and capital expenditures, the better to help sustain revenue growth in future periods. It need not, also, use that cash to deal with a debt burden or even make dividend payments to shareholders. 1) AOL revenues have grown, and Verizon perceives it can help ensure growth will continue or will exceed recent percentage changes. 2) Verizon presumes it will be able to keep AOL costs controlled. It can help turn what is a modestly profitable company into one that is predictably profitable without hiccups and bad turns. 3) A few Verizon-led tweaks might turn the operation into a $350-400 million company (net income), generating cash flow annually of about $500-$550 million, much of which can be plowed back into the company and won't be necessary to pay down debt. In the end, with its own financial heft and with its own challenges to achieve growth and revenue diversity, Verizon rationalized that an investment in AOL was a no-brainer--no need to take on debt to accomplish the acquisition, no significant burden to finance it, and a tolerable amount of risk for a business that won't necessarily be an earnings drain. This merger got a lot of publicity because of AOL's name, brand and important role in Internet history. Verizon's $130 billion acquisition of Vodafone two years ago was a far bigger financial challenge (because it borrowed $49 billion). Now with AOL, let's see what happens, let's see what role Armstrong will assume in the combined companies, and let's see how AOL is tweaked and changes for the better.